Hobbs Valve is continuing its ongoing relationship with a UK refinery, offering a bespoke solution to a very specific valve issue. 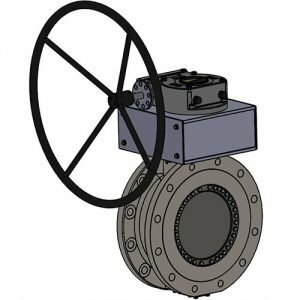 The solution involved the innovation of a compact double block and bleed valve, able to offer Hobbs’ famous valve properties (zero leakage, fast break-down for maintenance etc) on a much more condensed scale. The solution involved using a single actuator with a linkage system that can operate both valve discs (traditionally two actuators would be used). Witness tests of the product in use showed bubble-tight leakage properties and this could turn into a major project for Hobbs Valve at the refinery. If you have a requirement for double isolation valves with extreme space constraints, please contact Gavin Wheeler (Group Sales Director) on 07983 805408 or gavinwheeler@gbvalvegroup.co.uk for more information.